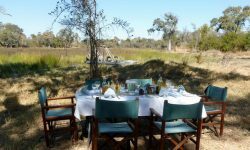 RAW Botswana Operates from the delightful tented Motswari Camp nestled on the Banks of Selinda Spillway on the northern fringes of the Okavango Delta. 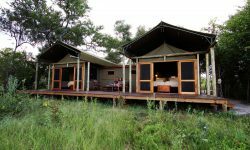 The Camp has 5 tents which offers very intimate and tailored safaris, horse riding, walking safaris, boating and fishing. 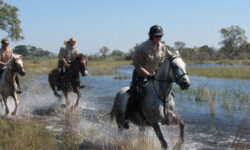 RAW Botswana prides itself on giving the RAW wildlife experience. The camp has no WIFI, phone network. The camp is a private 330,000 acre concession offering a unique game viewing experience in Botswana. 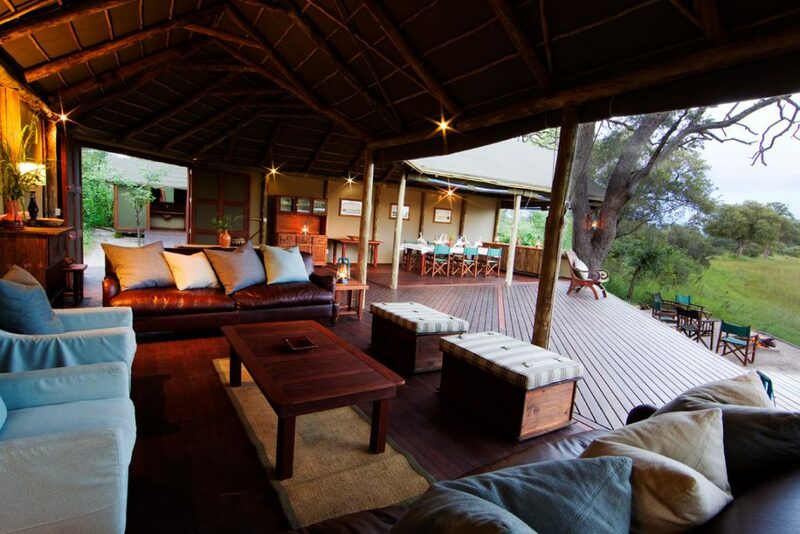 Motswiri Camp is a small intimate camp perfectly balancing luxury with simplicity. The camp has 5 small tents, guests have plumbed bathrooms and very comfortable beds, but the no-frills camp relies on solar power and everyone eats breakfast round the fire. The Tents are en-suite with flush toliets. There are family tents as well as honeymoon tents with additional outdoor showers. All of the tents are attractively furnished with bedside tables, hanging cupboards, luggage rack, floor rugs, curtains, a desk and chairs. There is also a swimming pool and large mess area for relaxing in camp. RAW Botswana is an authentic safari with a charming camp, ideal for nature lovers and those who enjoy a more active safari. The Camp offers varied activities with excellent game drives where guests have tihe opportunity to view large herds of elephant, buffalo, as well as Sable and Roan antelope, and wild dog. This safari is very seasonal, ie different activities excel at different times of the year. 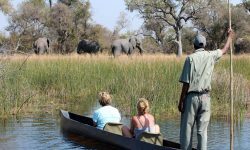 The Okavango delta usually floods in May and recedes in September so during those months boating, Mokoro trips and fishing are possible, and riders can experience fun water canters. 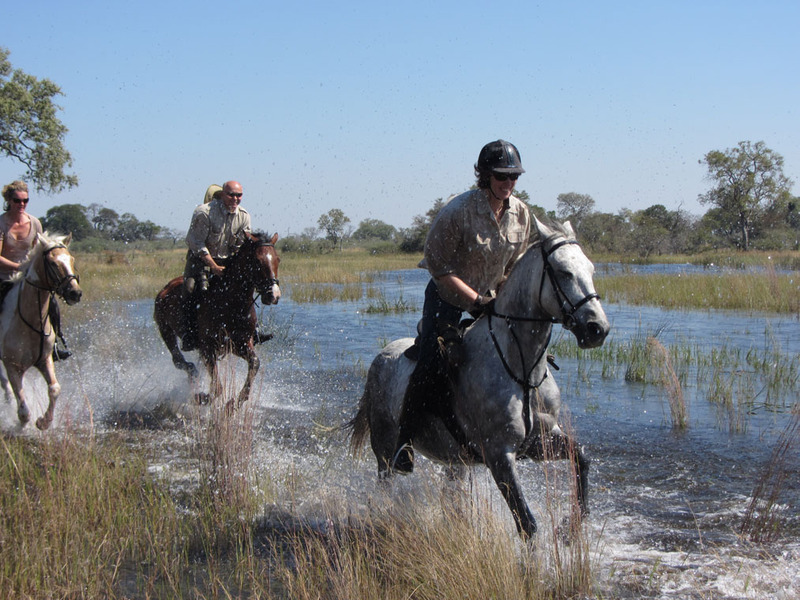 Large herds of wildlife migrate through the reserve and it’s not too hot to ride. October and November are the hottest months, and the best for birding. October to March is the green season where the bush is lush and pretty and great for walking safaris. There is less big game but birding and entomology is at its best.